Out of my experience during this wonderful training I have grown in all ways. I am better prepared to offer my love and skill, in all areas of life, as a service and contribution. I now have the confidence and skill to support others in the practice of yoga, which is a huge privilege. Maybe more importantly, I have grounded and shaped my personal commitment to the practice of yoga. I found community, guidance, challenge and growth in my training. The difference this training made in my life is unforgettable, so dear and worth every bit of effort. Axis yoga brought me back into my self again. The teaching program not only strengthen my awareness of the global reach of yoga but also honored my gifts as a teacher and scholar of contemplative practice and African healing traditions. The training helped to revitalize my spirit! The teaching program helped me align my spiritual values with a mind and body connection and invited me to live more fully into my purpose, and find new meaning in life. The value of the Axis Yoga is incredible. If you are looking for a boost in life a new way to revitalize your practice, and clarity on your purpose and meaning in life, you’ve found it! Sigh up today! As a teacher, I highly recommend the Axis program to educators who may be feeling burnt out. Axis gave me new tools to use in the classroom and helped me get back in touch with my passion for teaching. The Axis Yoga teaching program trains and provides the community with teachers who care about your practice, know how to help you meet your goals and challenge you to be your best self on and off the mat. I decided to enroll in Axis Yoga’s program because I have been teaching yoga for three years and wanted a registered 200 hour yoga alliance training. The program was more than I could have ever hoped for! I wanted something that was true classical yoga. Beyond just asana. This program delivered! My own personal practice grew immensely as well as my technique as a teacher. The classical hatha yoga teachings were just what I needed. Participating in Axis Yoga’s training was one of the most enriching and rewarding experiences for me. My knowledge of yoga has expanded so much and this program has helped build a foundation upon which my practice will continue to evolve. Each teacher was so caring and committed and their dedication alone was quite inspiring. Yoga, because of this training, has become so much more spiritual to me and more profound in my life. I don’t believe you can partake in this program without experiencing a sense of self evolution – physically, emotionally, and spiritually. Likewise, I remember at the beginning of the program feeling extremely uncertain and somewhat terrified with the thought of having to teach a class to the general public. Derik announced that it would be a long road but we would be ready by the end of it. And he was right. Somewhere along the way I had acquired all of the necessary skills and tools I needed and by the final practicum, I felt very at ease with sharing what I had learned with others. I contribute my confidence to these amazing instructors and know that my training has prepared me for whatever lays ahead, both on and off my mat. First off, thank you so much for the intensive: the knowledge and experience you have given me was the foundation I needed to actively pursue my spiritual journey. The program was an opportunity to deepen my experiential knowledge of Yoga, from the introspective work of meditation and pranayama to the physical reformation of asana. The community that was born from the intensive was the quintessence of the program and through the support of the teachers and student I was able to develop my personal, integrated practice of yoga. Without the guidance of Derik, Brenna, Susan and friends from the program, none of this would have been possible. Thank you my dearest mentors. I have evolved personally by becoming more aware of yoga practices aside from just asana. I have cultivated a daily meditation practice. I have been exposed to (and loved!) chanting. I have challenged many of my previously held ideas and beliefs about yoga and life. Any yogi with a desire to deepen their own practice or become a teacher would benefit from this program. The instructors are amazing! “One of the fondest, most exceptional experiences of my life.” The entire experience was better than I ever could have imagined. The essence of yoga emerges and speaks for itself. The training proved to be so comprehensive and enriching that by its end I not only felt ready to teach, I now enjoy teaching immensely and sharing with others the gifts Axis afforded me. I can’t even express enough how rich the program is! I was thinking about taking a yoga teacher training for a very long time but it took me only one session/conversation with Derik to decide to dive into the program! All the teachers are amazingly knowledgeable too. There is so much to learn from each one of them. Thank you so much for sharing your wisdom and giving me the confidence and knowledge to be a teacher. I will continue to share my experience from Axis Yoga to all my students! and the teachers at Axis! I had been practicing yoga for about three years when I decided I wanted to deepen my practice even more -not just focus on asana. I thrived because I had the support and training of incredible teachers who are dedicated to the practice and success of the students. 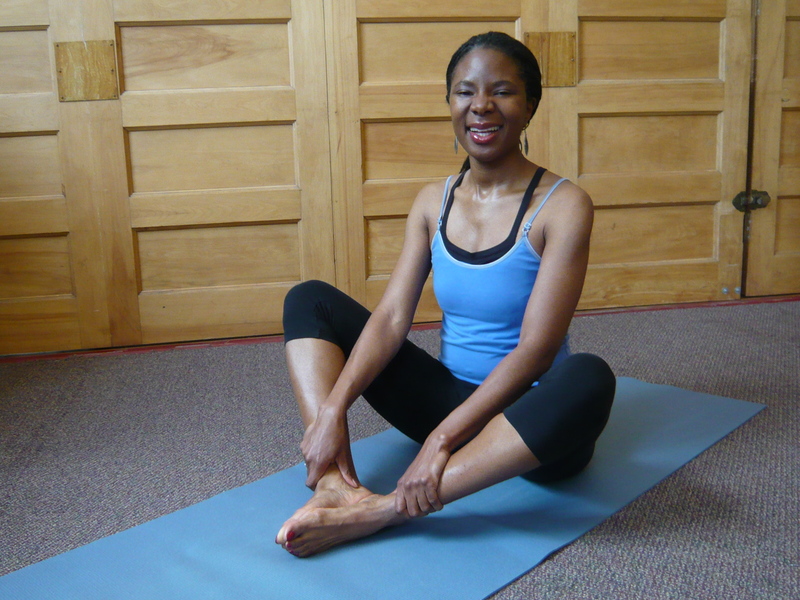 Axis’s program prepared me to be a positive and authentic yoga teacher. Participation in AYT training was the pivot point in my personal practice and has allowed me to work with my students at a much higher level of confidence and expertise. AYT is unique in its approach to training future instructors. AYT’s Pay-As-You-Can, inclusive approach exemplifies what I feel are the very best precepts of Yoga. The Axis Yoga Training was an incredible experience! The instructors were knowledgeable, kind and committed to helping each student integrate the material into their own lives. Whether you want to teach, broaden your personal practice or both, AYT is a fabulous venue to delve deeper into the subtleties of yoga. The program also connects you to a vibrant community of fellow graduates. I would highly recommend this training program. It’s a wonderful investment! My yoga practice and my life have been fully altered in beautiful ways by the yoga teacher training I completed with Axis. I had been practicing yoga asana for 5 years before then, not even knowing that I could be getting so much more out of my practice and my life. I have never felt healthier than I did during the training, and my practice had never been so deep. I feel like I became part of an amazing community with my Axis teachers and the other students in my class, with whom I still keep in contact. Now I have to tools to teach yoga to troubled teens twice a week with the confidence that I can guide them through it. I am eternally grateful to Axis for all of these gifts! Axis Yoga exceed all my expectations and gave me experiences I never expected to have! I was a pretty experienced student of Yoga asanas (postures). But I knew that there must be much more to actually teaching Yoga than I had to offer. I have specialized in pre and post natal health and fitness, which includes teaching prenatal yoga and mom & baby yoga. I was only able to build my business on the exceedingly strong foundation of Axis Yoga Trainings. Axis helped me move beyond my challenges and take my personal practice to a new level. I found a deeper sense of self in my yoga practice and the ability to share this practice with others is now just a bonus. I truly enjoy serving as an instructor in the 4 classes I teach each week. Axis instructors are authentic as well as experienced and their focus on building community makes me proud to have studied under them. Out of my experience during this wonderful training, I have grown in all ways. I am better prepared to offer my love and skill, in all areas of life, as a service and contribution. I now have the confidence and skill to support others in the practice of yoga, which is a huge privilege. Maybe more importantly, I have grounded and shaped my personal commitment to the practice of yoga. I found community, guidance, challenge and growth in my training. The difference this training made in my life is unforgettable, so dear and worth every bit of effort. Thank you,Thank you!! My perception of yoga immediately changed…I researched Yoga Teacher Trainings in Denver and that led me back to Derik and AYT. Having a place to learn that solely focused on training teachers carried a lot of weight in my decision. This was the school for me! The teachers at AYT delivered teachings for a lifetime; the yoga that was covered was beyond anything I had expected. Axis yoga brought me back into myself again. The teaching program not only strengthen my awareness of the global reach of yoga but also honored my gifts as a teacher and scholar of contemplative practice and African healing traditions. The training helped to revitalize my spirit! The teaching program helped me align my spiritual values with a mind and body connection and invited me to live more fully into my purpose, and find new meaning in life. The value of the Axis Yoga is incredible. If you are looking for a boost in life a new way to revitalize your practice, and clarity on your purpose and meaning in life, you’ve found it! Participating in Axis Yoga’s training was one of the most enriching and rewarding experiences for me. My knowledge of yoga has expanded so much and this program has helped build a foundation upon which my practice will continue to evolve. Each teacher was so caring and committed and their dedication alone was quite inspiring. Yoga, because of this training, has become so much more spiritual to me and more profound in my life. I don’t believe you can partake in this program without experiencing a sense of self-evolution – physically, emotionally, and spiritually. First off, thank you so much for the intensive: the knowledge and experience you have given me was the foundation I needed to actively pursue my spiritual journey. The program was an opportunity to deepen my experiential knowledge of Yoga, from the introspective work of meditation and pranayama to the physical reformation of asana. The community that was born from the intensive was the quintessence of the program and through the support of the teachers and student I was able to develop my personal, integrated practice of yoga. Without the guidance of Derik, Brenna, Susan and friends from the program, none of this would have been possible. Thank you my dearest mentors.